Lomé in Togo has become West Africa’s major port, surpassing Lagos. A key development backing Lomé was the commissioning of Lomé Container Terminal. It handles close to 890,000 TEU annually, close to 75 percent of Lomé’s total throughput of 1.2 million TEU. “The establishment of Lomé Container Terminal is part of a greater trend in West Africa, which sees more and more carriers becoming involved in ports and terminals. After all, carriers must go somewhere using their oversized ships,” says Wadey. In 2017, 285 container ships sailed the seven intercontinental trade lanes to West Africa. Deployed by 24 different operators, their average capacity was 3,300 TEU. The biggest ship, a 13,600 TEU vessel, is operated by MSC in a hub and spoke service, connecting Lomé with a large number of regional ports by feeder. Togo’s logistics play is an underrated phenomenon. Lome’s new airport is the hub of ASKY, a regional airline operated in conjunction with Ethiopian Airlines (which has a 40% stake in ASKY). Lome also functions as Ethiopia’s global hub in West Africa, with direct flights to the US and Latin America. Togo, of course, is also led by a dictatorial dynasty which has dominated its political economy for over 50 years. Recent protests against President Faure Gnassingbé Eyadema’s autocratic rule have been met by brutal repression, resulting in dozens of deaths. Togo is the only country in the region that lacks presidential term limits. Ghana’s President [John Atta Mills], who was suffering from throat cancer, has died in the capital, Accra. Vice President Dramani Mahama is due to be sworn in as the new president. 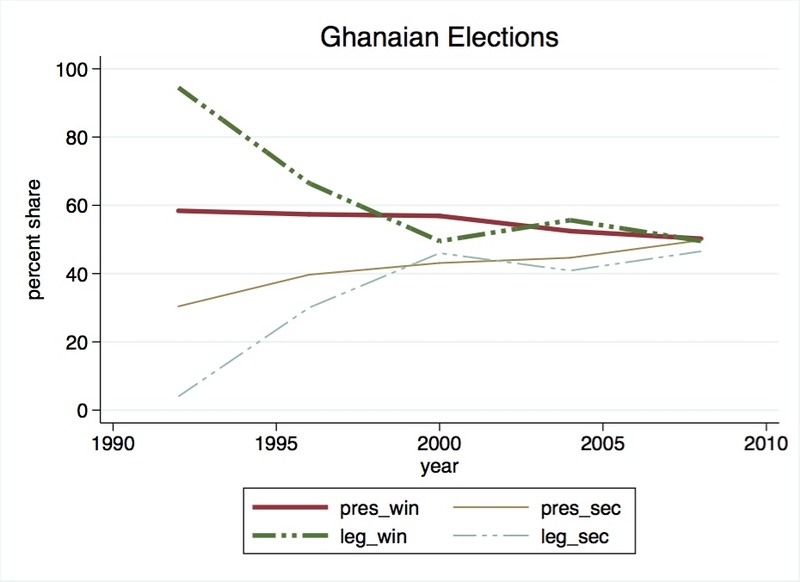 Ghana is scheduled to hold general elections later this year. With the passing of Mr. Mills it is unclear who will become the ruling party’s presidential candidate (more on this soon). More on this here, here and here. The article itself reminded me a lot of Fabien’s critique of how Africanists tend to deny any sense of coevalness to their objects of study. The overly-dramatic descriptions of a “Mauritania [that] feels stuck in time in ways both quaint and sinister” and an “isolated environment” were, to me, problematic. Mauritania is neither isolated from the world, nor stuck in time. These relationships of labor, race, religion, and gender continue to change and are very much tied to developments in the Middle East and the rest of NW Africa. There are prominent Hratine politicians (take the current Vice-President or a long-time diplomat/journalist whose family has become very wealthy in their region through trade and land sales), academics, and activists, a sign of some kind of social shifting. Yet, I’ve also talked to Mauritanians who have visited these villages inhabited by those of slave origin and the conditions they describe and neglect by the over-arching tribal structures are dismal. While it is true that notions of race do dominate the political, economic, and cultural landscape here and this article, perhaps more than others recently published in the American media (see recent articles in the Atlanta Constitution and Atlantic Monthly), attempts to address some of the complexity of this history, I still found it lacking some nuance and historical depth. I can’t really expect otherwise, since 8 days in Mauritania is hardly enough time to really engage in deep conversation about the issue. Is it really that “incredible” that the “nuances of a person’s skin color and family history determine whether he or she will be free or enslaved?” Skin color and lineage have been and are powerful markers of identity in West Africa (see Bruce Hall’s recent book on this topic) so it’s not surprising that these would persist as important means of discrimination. In its attempts to simplify these markers, the article glosses over the fact that Hratine (Black Moors…these terms are actually synonymous) came from (Black) Halpulaar, Soninke, Wolof (who also had their own slave practices, raiding, and castes), but mostly Bambara linguistic groups before they existed as this distinct group with a history of labor and unclear lineage. And it’s very clear that Wolof and Soninke still discriminate strongly against those of slave origin in their own communities. The article also argues that the reason the French abolition of slavery didn’t hold was due to the vastness of the desert but, if one looks at colonial-era documents, it’s very clear that the French did very little to enforce their 1905 law abolishing slavery in West Africa. They feared upsetting their relationship with powerful Bidan (White Moor) leaders if they enforced these laws and, in most cases, they allowed these exploitative relationships and the trade itself to continue. This was not because of the geography of the region since they certainly established new tax and educational systems, but because they were too concerned with the political consequences of disciplining their ‘allies’ in the region. As a researcher in Mauritania, I must say that I and another researcher here were both deeply troubled by the “hidden” agenda of these reporters. Conducting research in Mauritania is already difficult enough, with government officials very worried about the political nature of any American’s presence, but reporting like this only adds to Mauritanians’ fears about the “real” agenda of Americans roaming around in their country. And the question of what one can do? Here, I’m really at a loss. There are many local organizations working on this issue (SOS, l’IRA, etc.) so the best answer would be to get in touch with them and see what they advocate for action. The reality is that exploitative labor with inadequate pay, however one wants to call it, does exist in Mauritania and most often relies upon this group of Arabophone black Africans called “Hratine”. 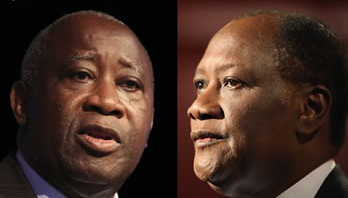 Ouattara’s victory over Gbagbo in Cote D’Ivoire is quickly generating winner’s remorse. The coalition of disparate rebel forces that united to oust Gbagbo is already breaking apart. Just this past week Ibrahim Coulibaly, a rebel commander, was killed after he refused to obey Ouattara’s order to disarm his units. Mr. Ouattara himself is facing the sisyphean challenge of cleaning up the mess from the decade long civil war and the recent onslaught on Abidjan amid economic decline and divisions within his own coalition. Supporters of Mr. Gbagbo are also not yet into the idea of having the northerner running the show. Over 40% of Ivorians, most of them southerners, voted for Gbagbo. France used its privileged place in the Security Council to position itself to play an important role in determining the future of Côte d’Ivoire, its former colony in which, inter alia, it has significant economic interests. It joined the United Nations to ensure that Ouattara emerged as the victor in the Ivorian conflict. That said, I don’t totally buy into the idea that the West, or any other outsider for that matter, should keep out of Africa’s affairs. Isolationism (caused by the great sand wall that is the Sahara) has not served Africa well in the past. Africa needs more trade and involvement in international politics. Both acts necessarily require international involvement in Africa. Weakness invites control; strength tempts one to exercise it, even if only for the “good” of other people. The problem of exploitative international involvement in Africa is sustained primarily by the persistence of inept kleptocratic leadership in the region. To go ahead and grant these dictators immunity from international pressure would be a most undesirable outcome. People like Idriss Deby, Paul Biya, Theodore Obiang, among others, should not be given space. Dictators do not have internal affairs. It is a pipe dream to continue nurturing and protecting mediocre leadership all over Africa while expecting the strong nations of the world to benevolently keep off. It is the mismanagement of Africa by its leaders that creates fertile grounds for self-interested international preying involvement by the likes of France – with disastrous consequences for the local populations. The Ivorians have a runoff election tomorrow while the Guineans (Guinea-Conakry) get to find out who will be their president on December 2nd. The Ivory Coast is still trying to recover from the disastrous turmoil and civil war that visited her following the death of founding president Houphouet Boigny. The civil war split the country in two, with the southerners (actually just nationalist Abidjanites) accusing most northern politicians of being foreigners. Among the said “foreigners” is the challenger in tomorrow’s election, Alassane Ouattara. Mr. Ouattara hopes to unseat Mr. Laurent Gbagbo who has been in power since 2000. In Guinea the loser in the runoff went to the supreme court to challenge the results. The country is one of the more unstable places on the continent with a military that is lacking in discipline professionalism. 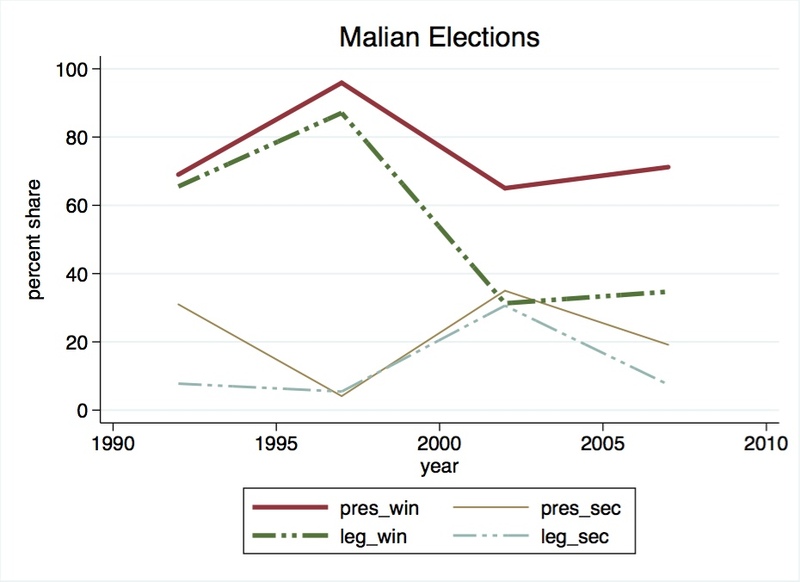 Out of the many trouble spots in West Africa at the turn of the century, Guinea (Conakry), Guinea-Bissau, Ivory Coast and Niger are the main laggards slowing down the region’s match towards political stability, irrespective of regime type. A while back I posted something on Sierra Leone’s shocking maternal mortality stats. This week TIME magazine has this sad piece on Mamma Sessay, an 18 year old Sierra Leonean woman who died during childbirth. The images could have been a little bit more respectful (there is a little too much poorism involved for my liking) but the message gets home: Giving birth is still a most dangerous undertaking for the vast majority of women on the Continent. Kudos to outfits like this one that work to save the lives of women on the Continent. Stories like Mamma’s are a grim reminder of how much still needs to be done to lower maternal mortality rates in the less developed regions of the world. Educating more women is the obvious long-term solution – statistics abound on how education decreases fertility and maternal mortality rates while increasing the quality of childcare. More urgently, however, is the need to improve pre-natal care and eradicate anachronistic cultural practices that allow men to marry 14 year old girls (the late Mamma was 14 when she got married). will the nigerien colonels keep their word? The coup leaders in Niger promised a return to democracy as soon as possible. Perhaps as a signal that they are willing to keep their word on this they have appointment a civilian as prime minister.They have also promised that none of the military leaders in government will take part in elections whenever they are held. For now I shall give the colonels the benefit of the doubt on this one, after all they proved pretty reliable when they re-instituted democratic rule after a coup in 1999. Fingers crossed. And in other news, do Kenyan politicians take themselves seriously? Like really? Don’t we have enough national holidays? Also, kudos to the South African authorities for a job well done. Although if I had it my way I would have some mechanism within the AU to hold individual leaders personally accountable for violations of arms embargoes (well, if only the AU was not a club of autocrats, genocidaires and kleptocrats, with a few democrats here and there).